Gaming laptops under $400 is unbelievable for some people. Of course, you won’t get higher-end hardware, but the laptops under this price range are good for light gaming and best for day-to-day use. This article lists the 10 cheap and best gaming laptops under 400 dollars. In these laptops, you would find a minimum of 4GB RAM, minimum of 500GB hard drive and an Intel Pentium, Core i3 or AMD quad-core processors. You can refer our earlier list of laptops under 500$ with great hardware configuration. For computer games lovers, here is the list of good gaming laptops under 1000 with higher capacity RAM and good video display card. The Acer Aspire E15 is the best gaming laptop under 400 dollars. It is the most standard laptop from Acer and it has the latest hardware inside that makes it a great option for people who want to do some light gaming or play lighter multiplayer titles. The Acer Aspire E15 comes with an Intel Core i3-7100U processor, 4GB RAM, 1TB hard drive with a crisp and clear 15.6-inch Full HD display. While the Acer Aspire E15 does not have a dedicated graphics card, the onboard Intel HD 620 graphics is great for running older titles or for running multiplayer titles like Dota 2, CS:GO or League of Legends. The Intel Core i3 processor in this laptop is the latest processor, so it is powerful while being very light on the power consumption. Combining the processor with the DDR4 RAM, the battery life on this laptop is almost 12 hours on regular use. While gaming, the Acer Aspire E15 can run for 4 to 5 hours. So, this makes it a great laptop for gaming portable. RAM and storage are easily upgradeable if it does not meet your needs. Highlights: Great 1080p display, long lasting battery life, latest hardware. The Lenovo Z50-75 is one of the good gaming laptops under 400 dollars that has an AMD processor and graphics card. While being targeted for gaming, the design of this laptop is the same as the design of most other Lenovo laptops just like the one mentioned above in this list. The main thing that is different in this laptop is that this one has a more powerful processor and a graphics card that is amazing for budget gamers. The Lenovo Z50-75 comes with an AMD FX-7500 processor with a 2.10GHz clock speed (turbo up to 3.3GHz), 8GB RAM, 1TB hard drive, AMD Radeon R7 graphics with a 15.6-inch 1366×768 display. The AMD hardware in this laptop is comparable to a laptop with an Intel Core i3 processor and a low-end graphics card. Which means that it will be able to play relatively newer titles at lower settings and it is best for playing online multiplayer games that don’t require many resources to run. One thing that is not so good about this laptop is the display. It does not have the best color accuracy but it does its job very well. Highlights: Slim and sleek design, powerful AMD hardware, great speakers. The ASUS F556UA is another good gaming laptop under 400 dollars which has a very slim design and an Intel processor which is good enough for light gaming and daily use. If you did not like the other ASUS laptops in this list, the ASUS F556UA will surely get your attention. The ASUS F556UA comes with an Intel Core i3-6100U processor with 2.3GHz clock speed, 4GB RAM, 1TB hard drive and an amazing 15.6-inch 1080p display. Most laptops under 400 dollars don’t have slim design along with a cool heatsink design inside. The ASUS F556UA keeps cool even while gaming with the help of ASUS IceCool Technology. The ASUS F556UA laptop has USB 3.0 ports as well as a USB 3.1 Type-C port which is very useful if you have a portable USB Type-C SSD for faster file transfers for your portable Steam library. The performance of this laptop is great for online multiplayer titles that don’t require much resources to run, but it will be okay for playing some older titles as well. The slim design, effective cooling system, and amazing Full HD display make this one of the best gaming laptops under 400 dollars. Highlights: Slim design, effective cooling system, long-lasting battery life, stunning Full HD display. If you look at some laptops from 2015, you can still find some that are good gaming laptops under 400 dollars. 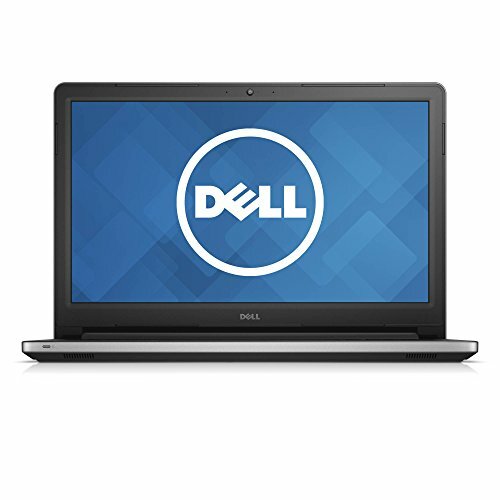 This Dell Inspiron 15 3000 is a great laptop under 400 dollars. The Dell Inspiron 15 3000 has a great build quality and looks like a regular Dell laptop. It comes with an Intel Core-i3-5005U processor with 2.0GHz clock speed, 4GB RAM, 500GB hard drive, 15.6-inch 1366×768 display. The best thing about the Dell Inspiron 15 3000 is the design. It’s simple while being very easy to handle and operate as well as the quality is very sturdy. For gaming, this laptop is good for its price. The Intel Core i3 processor along with 4GB RAM is great for light gaming and the display is also very bright. Playing online multiplayer games on this laptop is not difficult and it can run some older titles easily as well. You will find a lot of laptops powered by AMD hardware in laptops under 400 dollars including this ASUS X555DA High-Performance laptop. The ASUS X555DA laptop is great for budget gamers who want to jump into their favorite games in just no time. This ASUS laptop comes with an AMD quad-core A10-8700P processor with 1.8GHz (turbo up to 3.2GHz), 4GB RAM. 500GB hard drive, AMD Radeon R6 graphics, and a 15.6-inch 1366×768 display. 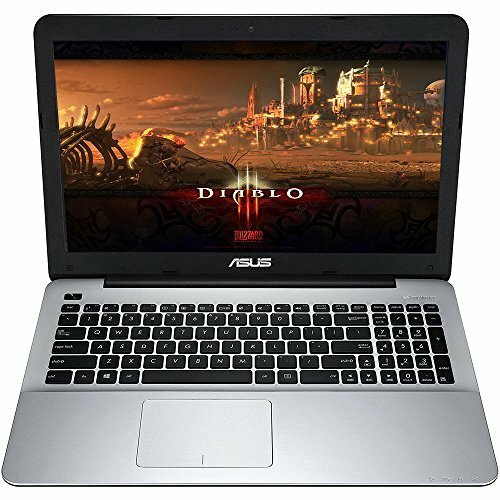 The quad-core AMD processor in this ASUS laptop is great for running games like Diablo III, Dota 2, League of Legends etc. Under heavy load, this laptop keeps very coolly so your palms or you laps don’t burn. The speakers on this laptop are great, so if you don’t use headphones while gaming you won’t feel any degraded sound. This laptop also has enough ports for your peripherals, so you don’t need to buy extra adapters and hubs. Highlights: Great design, great speakers, impressive AMD processor, and graphics card, great touchpad. 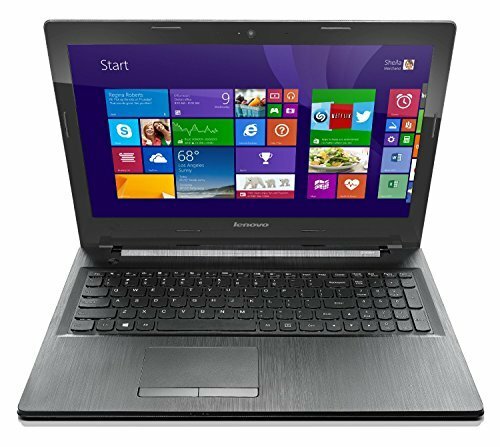 The Lenovo G50 is a great laptop and this configuration is good for a gaming laptop under 400 dollars. Just like other cheaper Lenovo laptops, this one also has a slim build and plastic body which is very firm and durable. 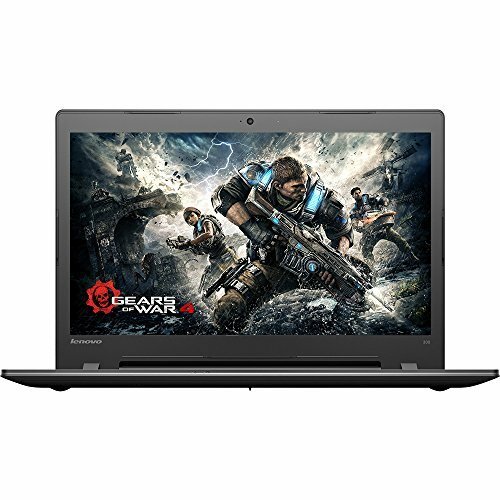 This Lenovo G50 laptop comes with an AMD quad-core A8-6410 processor with 2.0GHz clock speed (turbo up to 2.4GHz), 6GB RAM, 500GB hard drive, AMD Radeon R5 graphics, and a 15.6-inch 1366×768 display. Gaming performance is very good considering it is a cheap gaming laptop under 400 dollars. 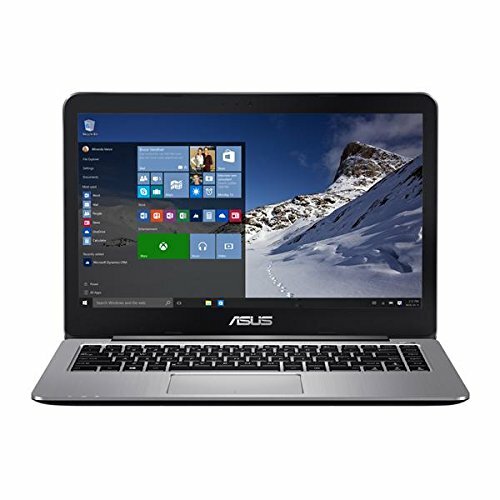 Online multiplayer games like Dota 2, CS:GO or League of Legends run very well on this laptop as well as some older titles like Call of Duty 4. The touchpad on this laptop is not very good, it is okay to use but it is not great. The touchpad drivers are not very well optimized with it. Highlights: Good build quality, great AMD processor and graphics, nice keyboard. This HP Pavilion 15 ba-051wm looks exactly the same as the other two HP laptops mentioned in this list, but what’s inside is what matters apart from the red color. This laptop has a more powerful processor and more RAM. This HP Pavilion 15 ba-051wm comes with an AMD quad-core A10-9600P processor with 2.4GHz clock speed (turbo up to 3.3GHz), 8GB RAM, 1TB hard drive, AMD Radeon R5 graphics card, and 15.6-inch 1366×768 display. Of course, since this laptop has better hardware, games do perform better on it than the other HP laptops mentioned in this article. There is no bloatware and the hard drive is faster. The red color will look appealing to gamers and AMD fans. The RAM and storage are easily upgradeable as well. Highlights: Great AMD hardware, good selection of ports, a higher number of pre-installed RAM. The ASUS VivoBook R416SA is a very slim laptop that is also a good gaming laptop under 400 dollars. It has the smallest screen size of 14-inches. It’s slim and lightweight design makes it great for taking your video games portable. 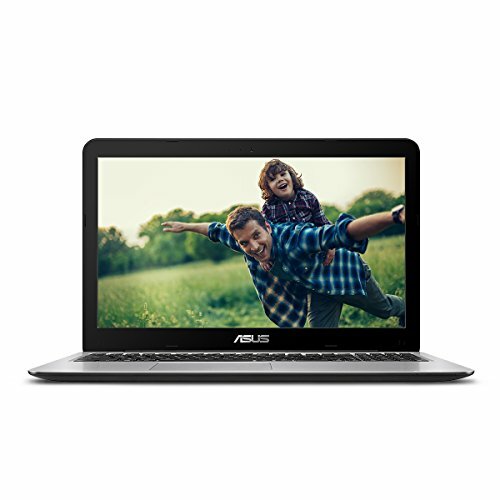 The ASUS VivoBook R416SA comes with an Intel Pentium N3700 processor with 1.6GHz clock speed (turbo up to 2.4GHz), 4GB RAM, 128GB SSD, 14-inch Full HD display. For gamers, the best thing about this laptop is the SSD, because it is fast and it will load your programs quickly. Gaming performance is good for less resource hungry titles and the good battery timings mean that you can easily take it everywhere with you and play games wherever you want. The only bad thing about this laptop is that the RAM is not easily upgradable. Highlights: Small and lightweight design, good touchpad, clear Full HD display, fast solid state drive. 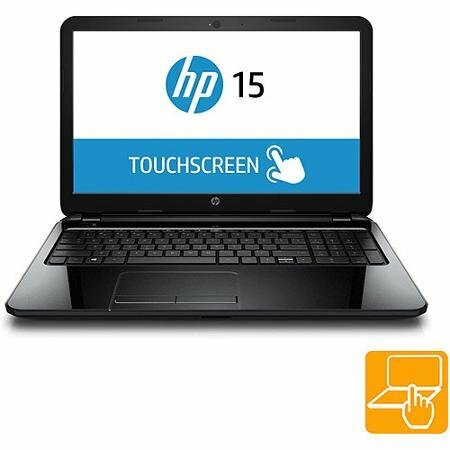 Similar to the previous HP Pavilion 15 laptop, this HP Pavilion 15 Flagship Edition laptop has a similar design and also features a touchscreen display as well. The only thing different in this laptop is the absence of a graphics card and an Intel processor instead of an AMD processor. 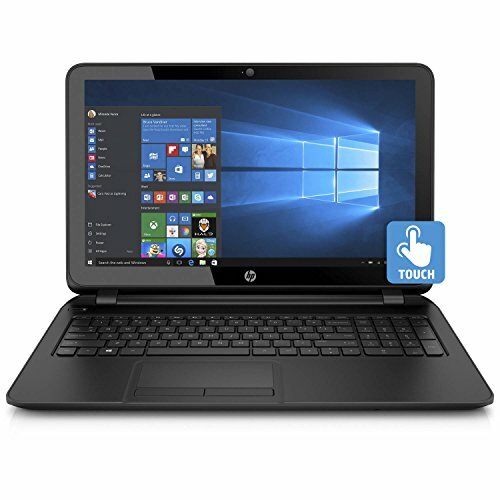 This HP Pavilion 15 Flagship Edition laptop comes with an Intel Pentium N3540 processor with 2.16GHz clock speed (turbo up to 2.66GHz), 4GB RAM, 500GB hard drive, 15.6-inch 1366×768 touchscreen display. Even without a graphics card, the Intel Pentium processor and the Intel HD graphics do a great job of running most games at medium to low settings. Like the previous laptop, the touchscreen, although a good feature, is not good for battery life. The touchpad is also small so it isn’t good for people who will be using it most of the time. Highlights: Lightweight and sleek design, includes a touchscreen display, nice and clicky keyboard. 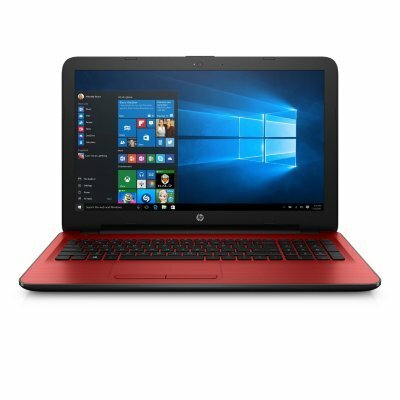 This HP Pavilion is one of the most popular designs in the laptop market but this HP Pavilion 15 itself comes in the gaming laptop under 400 dollars range, so it is not as popular but still, it is a very good laptop. The body is made of glossy plastic and while it should be somewhat strong, in some places it is not. This laptop also has a touchscreen which may be surprising for some people. This HP Pavilion 15 comes with an AMD quad-core A8-6410 processor with 2.0GHz clock speed (turbo up to 2.4GHz), 4GB RAM, 750GB hard drive, AMD Radeon R5 graphics, and 15.6-inch 1366×768 touchscreen display. Like most laptops in this list, this laptop can run less resource hungry games very easily like most online multiplayer titles or older titles. Due to the touchscreen, the battery timing of this laptop is very short, but the touchscreen itself is not a bad feature. Since it is preinstalled with Windows 10, it does have a lot of bloatware. Highlights: Features a touchscreen display, impressive AMD hardware, lightweight design. These were the 10 cheap and best gaming laptops under $400, under your budget. 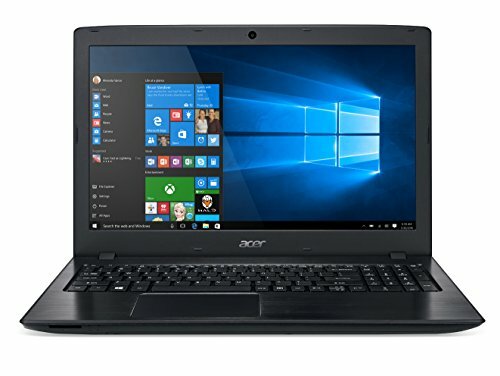 For most people, budget is an issue and it can be very difficult for them to find good gaming laptops under 400 dollars. This list is for them. You won’t get the premium quality design and hardware like an expensive gaming laptop, but the laptops under this budget are good enough for light gaming as well as daily use. You can even upgrade the RAM and storage on these laptops very easily.